This playful Pancake Penguin will give your whole family happy feet! Simple enough to create with the kids, but impressive enough to share on social media, this pancake creation will get you lots of laughs and likes! Heat up pancakes according to the instructions on the package. 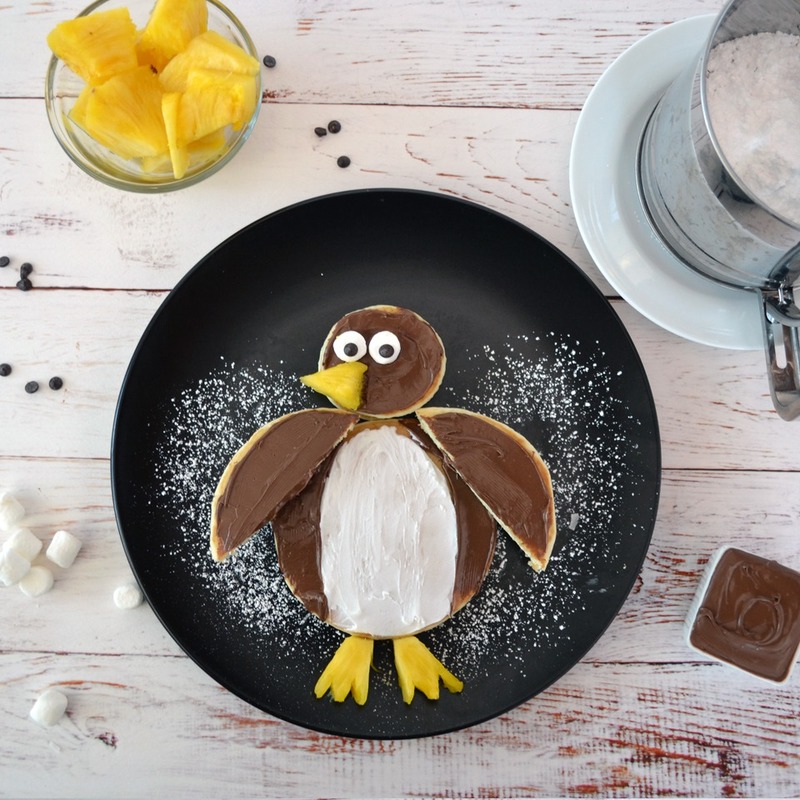 Once pancakes have cooled, start by making the penguin’s head – spread one Mini Pancake with chocolate hazelnut spread, place a small slice of pineapple on top for the beak, and add the marshmallows and chocolate chips to create the eyes. Next, cut one regular-sized pancake in half and spread each with chocolate hazelnut spread to create the wings. Decorate the remaining whole pancake with chocolate hazelnut spread and marshmallow cream to create his “tux,” and then assemble with the wings and head on a plate sprinkled with powdered sugar snow. Add 2 more pineapple slices for feet, do a happy dance around the kitchen table, and enjoy!